Naran Lala Institute of Management Studies (NLIMS) was established in August 1995. In the beginning, NLIMS conducted One Year programme of Post Graduate Diploma in Management in Business, Marketing & Finance Management. The Institution adopted latest teaching technology, methodology & every student was given individual guidance. Industrial visit / project work / group discussions were conducted with the real world situations so as to make the students more familiar. Naran Lala Institute of Management Studies NLIMS, Navsari offers various graduate courses as well as Post Graduate courses. 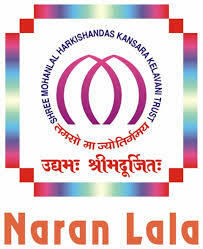 Naran Lala Institute of Management Studies NLIMS, Navsari is affiliated to Gujarat Technological University, Ahmedabad. List of facilities available at Naran Lala Institute of Management Studies NLIMS, Navsari for students. This page was last modified on 3 July 2015 at 14:07.